Log Cabin studio style with large portrait windows in 70mm. Upgrade to insulated roofing and flooring to retain heat. Double glazed double door. 1700 x 1820mm. The Lillevilla 725 log cabin has a large double portrait style windows allowing in a lot of light, and large double locking doors. The cabin has a modern mono pitch roof covered with EDPM (Ethylene-Propylene-Diene Monomer) which comes with a 20 year guarantee! For strength and durability all of our cabins have a log thickness of at least 44mm, this cabin is one of our 70mm cabins. 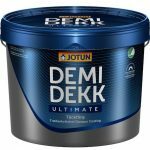 This makes them ideal cabins for all year round usage. Each board is double tongue and grooved, making the interlocking far stronger and securely sealing the interior against external weather. Typical optional extras for this log cabin are listed above right. However, if you would like to add other items not listed here please have a look at the Accessories or Paint sections of this website and/or give us a call to discuss your individual requirements today. When your product is delivered it will be in a natural untreated state. For wood care treatment for your log cabin please have a look at our Timber Treatment page. What size does the base need to be for this cabin? Our delivery prices on the checkout page are for the UK Mainland only and include VAT. We provide FREE DELIVERY for our Log Cabins to all areas of England and Wales. Additionally, we are unable to deliver to the Northern Ireland, Isle of Man, Isle of Wight or Isles of Scilly, but we can deliver to the nearest Docks of the customer’s choice. Then the customer would need to arrange the transport from the dock to their location. If you would like to order a log cabin in one of these postal areas, then please call the office for more details. Please note: For Scotland and parts of Wales we have dedicated re-sellers in those areas. All orders containing just paint are charged at £9 for delivery anywhere in the UK. All orders containing just accessories (doors and windows) and optionally paint are charged at £125 to all areas of England and Wales, but £200 to those areas that we currently deliver to within Scotland. Log Cabin studio style with large portrait windows in a 44mm. Log Cabin studio style with large double glazed doors in a 44mm. The largest contemporary garden building in our range with large portrait windows. 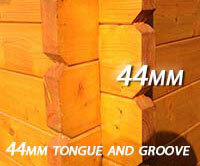 Single room log cabin 44mm log thickness - ideal for retreat, summer house, or garden office. 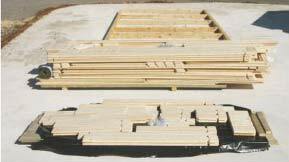 Single room log cabin 44mm log thickness - corner unit. Double door front with 1 large portrait window, open plan floor.